Of all the rooms in a house or apartment, the bathroom easily takes the cake when it comes to storage issues and problems within a household. Often the smallest room in the house, making space for accessories, towels, jewellery, cosmetics and other miscellany can take their toll on the ambience and atmosphere. In order to create a comfortable, relaxing and private wash space, it is essential you employ creative storage solutions that assist in providing the desired aesthetic. If you need some assistance, we’ve collated and gathered 9 neat ideas that are sure to improve and enhance your room. So, read on below and start updating your dwelling with style and sophistication! 1. Get those drawers organised and neat! We've all been there; one minute the bathroom drawers are tidy and neat, the next they are teeming with mess, junk and are in a chaotic state. One of the reasons this happens so easily is because the drawers aren't set up in a way that accommodates the items within. 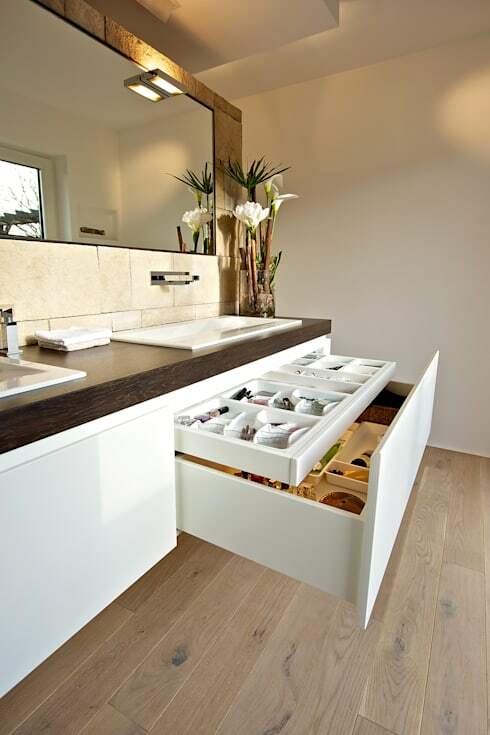 In order to keep your bathroom cabinets and drawers orderly you need to add drawer organisers. These will give everything its rightful space, and reduce the habit of throwing things in without looking at where they should be. 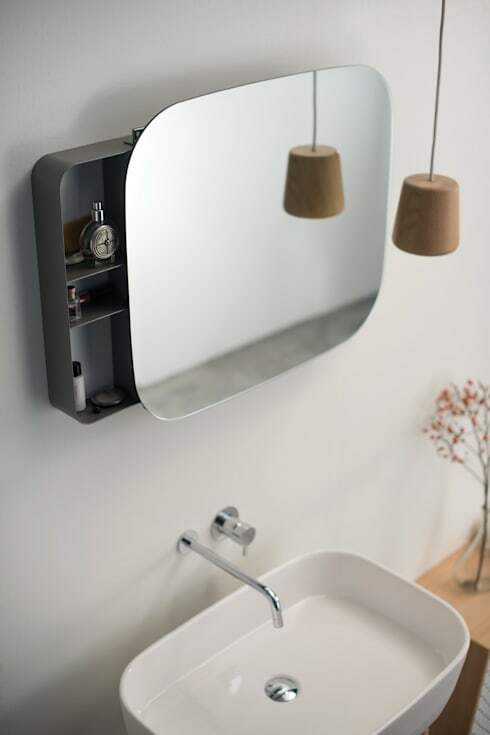 Instead of having a mirror flush against the wall, why not add a medicine cabinet that seamlessly hides your storage behind. This is perfect for keeping medicine out of reach of children, while ensuring your wash room aesthetic is clean and efficient. Fancy yourself a handy DIY project for the weekend? Grab an old crate, some recycled timber, and get to work building some rustic, vintage and super stylish wall shelves. 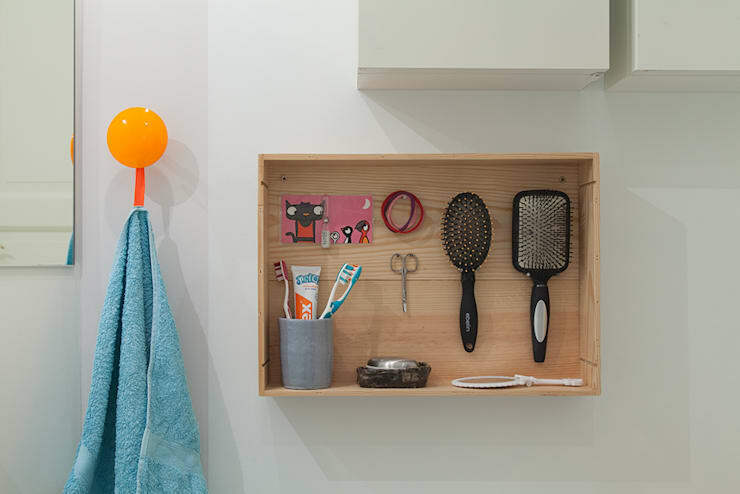 The bathroom ladder is a no-brainer when it comes to creative storage. Ideal for those who rent their home and don't want to add anything too permanent, the multi-purpose ladder can be used to hang towels, as well as hold storage containers, soaps and lotions. In small bathrooms, wall mounted cupboards often take up a huge amount of the perceived air space within a room. To combat this, while still ensuring you have ample repositories for those odds and ends, hanging baskets are a neat and simple solution. 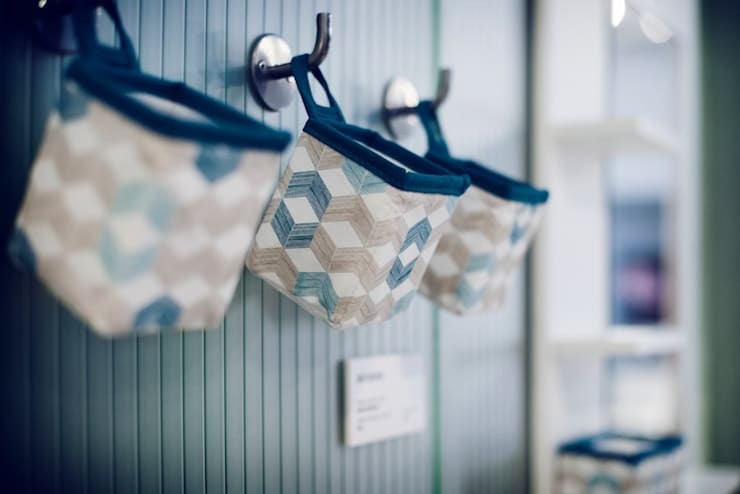 Utilise existing hooks, or add a matching set, hang your containers and voilà! 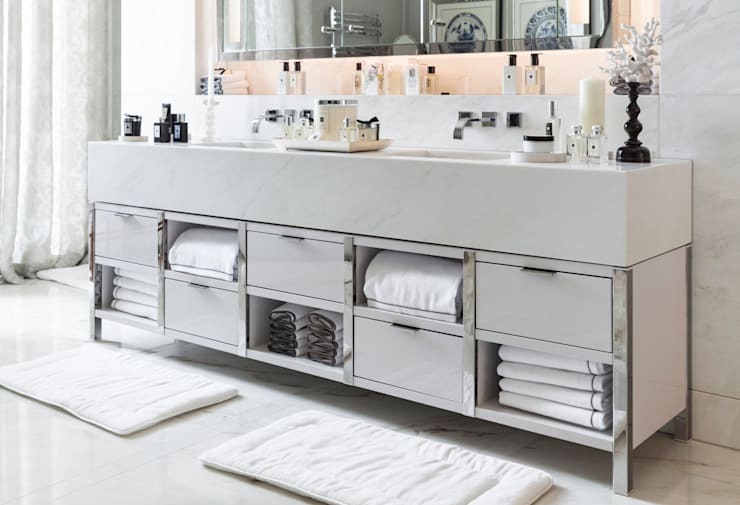 Rethinking your vanity can offer a huge amount of storage options and possibilities. 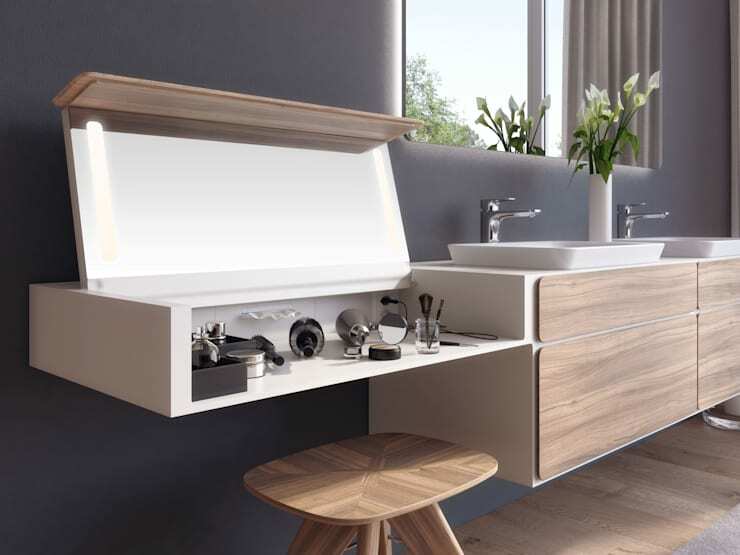 If you currently have a pedestal sink, think about adding a vanity unit instead. And take some cues from this neat, tidy and space-maximising example above. If you are considering upping your bathroom storage game, chat to a professional and ensure the job is done efficiently and stylishly. You can find plenty of bathroom planners via the homify website, meaning you can get started today! Cosmetics often find themselves lost and adrift in the miscellaneous hodgepodge of lotions, creams, and other bathroom drawer contents. Give them their own space, while providing yourself a gorgeously functional dressing table, by emulating this brilliant demonstration above. 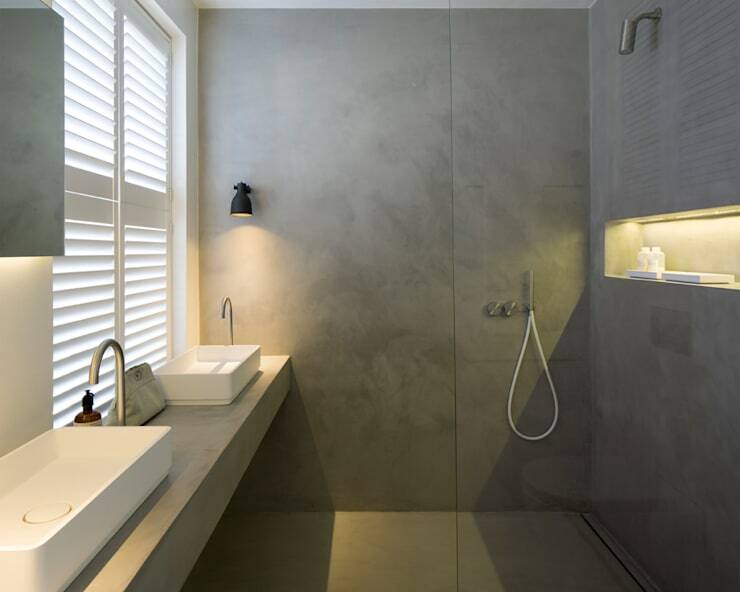 If you're really strapped for space, follow the lead of this small concrete bathroom and add a simple shelf into the wall itself. The perfect spot for housing all toiletries and knick-knacks, it keeps clutter away from the sink area and creates an orderly look. Gone are the days of the shabby laundry basket that needs to be hidden from sight behind a door, or tucked away in the utility room. These days laundry baskets are multi-purpose items that can provide more than simply an area for dirty clothing. Consider employing a fashionable trunk style case in your home, and use it to cleverly hide linen, or tuck away items to be cleaned and laundered. How do you efficiently store items in your bathroom? Share your tips with us!